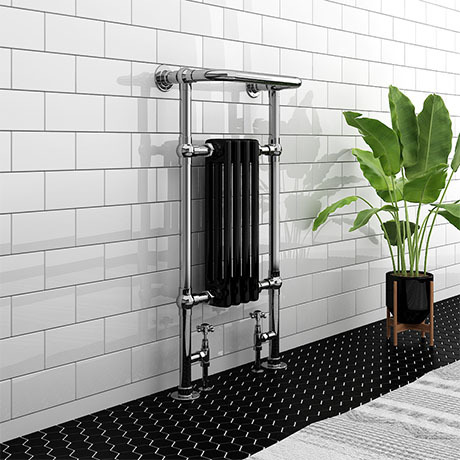 The Westport is a traditional heated towel rail combining classic towel radiator styling and functionality. A must for all bathrooms, Westport traditional heated towel rails provide comfort and relaxation. Features quality Steel tubing incorporating a period style black gloss column radiator. Ideal for use in the bathroom kitchen cloakrooms etc, the Westport Heated Towel Rail is the best in traditional bathroom heating.